Recording your actions on Android is an adventure itself. Whether it’s about showing off your gaming skills or creating an educational video, screen recording is always in fame. There’re nearly thousands of apps available rooted and non-rooted for your Android smartphone to choose. AZ is one of the most popular screen recorder apps on Google Play Store. Apart from creating HD and Full HD, it is the only screencast app in the list can be paused and resumed while recording. You’re allowed to use mic and input the audio along with the screen capturing. Magic Button, overlay front camera and drawing on screen functions are the key player to drive its popularity. Its free and offers you to share on multiple platforms once you’re done. Unlike other free apps it doesn’t force a watermark, making it more favorable. Mobizen is a user-friendly screen recorder app that lets you record and edit the clip. It offers a full HD recording with 1080P Resolution, 12.0Mbps Quality, 60 FPS. You can put your favorite background music or can put your own voice. Mobizen is another free app that offers free watermark removal. Vysor mirrors your Android on your computer. You can control your device with the help of keyboard and mouse. If you need, you can share your screen for remote assistance. You can play your favorite games on your computer while controlling the Android. The only setback for this app is, it’s not free if you’re looking for an HD capturing. You got it right; its bigger than you thought. Google Play Games is not confined to just maintaining your gaming profiles but it has a built-in screen recording functions. Not just games but you record anything you wish to. Create personalized videos, record gaming skills or do anything with Google Play Games. To start the recorder, just exit out of the app once you see the recording interface. Unfortunately, it records only 720p or 480p quality. Shou is a very popular app that lets you screen record without rooting Android. Apart from recording, you can capture a moment within the app by just shaking the device. It can record screen with stereo sound and lets you mirror the device screen to any Miracast or AirPlay enabled devices. Shou lets you watch live broadcasts of the games and chat with your favorite players. iLos is one of the fewest apps that offers multiple resolution recording of your Android screen (including 1280×720 and 1920×1080 pixels at 30fps). iLos is a user-friendly app that aims to deliver the promised functions in a very little pinch of taps. Though, it doesn’t put its watermark but its paid version unlocks a bunch of exciting features which you might want to explore. If you’re using an old Android (4.4), Rec. requires your device to be rooted to show its actual worth. However, it’ll work without root on Android 5.0 and later platforms. Rec. is a professional screen recorder that provides untethered and configurable recording. You can record up to an hour without wasting time sitting in front of your computer. Just shake or screen off your smartphone to command it to stop recording. Super Screen Recorder is yet another great screen recording app that comes with an intuitive and user-friendly interface. What makes this app favorable is the feature that offers unlimited recording without a time limit and it has an inbuilt video editor. With Super Screen Recorder, you are provided with a high quality recording with a range of various resolutions, frame rates and bit rates. One Shot Screen Recorder is one of the smartest screen recorder app that works beyond your expectations. When you’re about to finish recording in different apps, you tend to record a small part of unwanted clip. To remove that you use another video editor app. 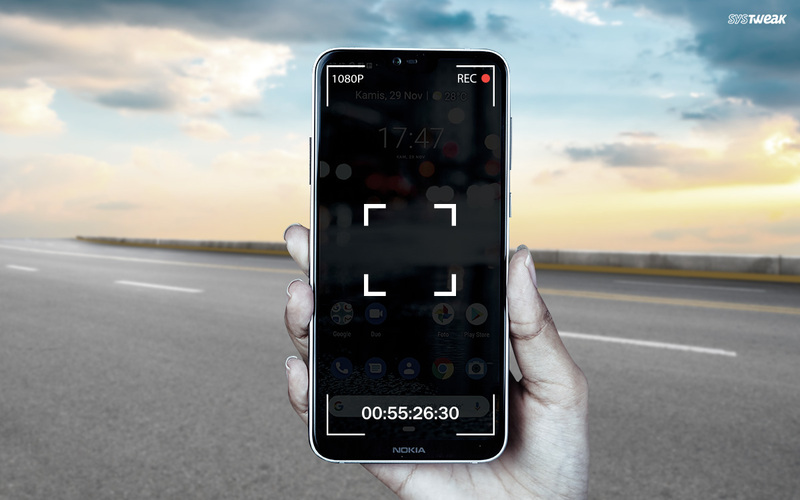 One Shot Screen Recorder frees you from getting into such situation, as it offers a Disable Recorder option for a certain time after which you can resume recording. Be informed that everything comes for a price and this app charges with putting a watermark on the recording. To prevent system UI crash, make sure you don’t tick the ‘Don’t shot again’ prompt, as suggested by developers. Overall, selecting one out of the pool of these 10 apps may be knotty for you. Comparing your needs with the features provided by apps would help you get the right one. The best screen recorder app for Android must be measured by its quality of features and user-friendliness which it offers. Most of these apps support Android 5 and later but if you’re using an older version and crave to try them once, you may try rooting your device.